This article is about the year 914. For the car, see Porsche 914. Year 914 ( CMXIV ) was a common year starting on Saturday (link will display the full calendar) of the Julian calendar. Zoe Karbonopsina, also Karvounopsina or Carbonopsina, i.e., "with the Coal-Black Eyes", was an empress consort and regent of the Byzantine empire. 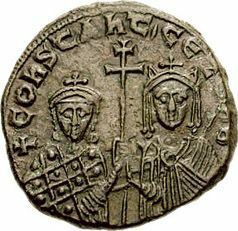 She was the fourth spouse of the Byzantine Emperor Leo VI the Wise and the mother of Constantine VII, serving as his regent from 914 until 919. John Eladas was a senior member of the Byzantine court and regent in the early 10th century. Summer – Saracens from Garigliano establish advanced strongholds in Lazio at Trevi (in the Sabine Hills, near Palestrina) and Sutri. From here, they encroach on the papal cities of Orte, Narni and Nepi with impunity. García I was the King of León from 910 until his death and eldest of three succeeding sons of Alfonso III the Great by his wife Jimena. Zamora is a city in Castile and León, Spain, the capital of the province of Zamora. It lies on a rocky hill in the northwest, near the frontier with Portugal and crossed by the Duero river, which is some 50 kilometres (31 mi) downstream as it reaches the Portuguese border. With its 24 characteristic Romanesque style churches of the 12th and 13th centuries it has been called a "museum of Romanesque art". Zamora is the city with the most Romanesque churches in all of Europe. The most important celebration in Zamora is the Holy Week. The Battle of Danes Moor (or 'Dunsmoor') occurred between the Danes and the Saxons on Danes Moor between Culworth and Edgecote, north-east of Banbury, Oxfordshire, at a crossing of a tributary of the River Cherwell. January 24 is the 24th day of the year in the Gregorian calendar. There are 341 days remaining until the end of the year. The Kutama were a major Berber tribe in northern Algeria classified among the Berber confederation of the Bavares. The Kutama are attested much earlier, in the form Koidamousii by the Greek geographer Ptolemy. Hasan al-Utrush re-establishes Zaydid rule over the province Tabaristan (Northern Iran), after 14 years of Samanid occupation. He becomes the new ruler (emir) and Zaydid noblemen accept his authority. March or April – Pope Lando dies at Rome after a reign of less than a year. He is succeeded by John X, archbishop of Ravenna, as the 122nd pope of the Catholic Church. The 900s decade ran from January 1, 900, to December 31, 909. Year 909 (CMIX) was a common year starting on Sunday of the Julian calendar. Abdullāh al-Mahdi Billah, was the founder of the Ismaili Fatimid Caliphate, the only major Shi'a caliphate in Islam, and established Fatimid rule throughout much of North Africa, Hejaz, Palestine and the Levant. Abu'l-Qasim Muhammad ibn al-Mahdi, better known by his regnal name al-Qa'im bi-Amr Allah or bi-Amri 'llah, was the second caliph of the Fatimid Caliphate in Ifriqiya and ruled from 934 to 946. He is the 12th Imam according to the Isma'ili faith. Abū'l-Ḥasan Mu'nis, also commonly known by the surnames al-Muẓaffar and al-Khadim, was the commander-in-chief of the Abbasid army from 908 to his death in 933 CE, and virtual dictator and king-maker of the Caliphate from 928 on. The first Fatimid invasion of Egypt occurred in 914–915, soon after the establishment of the Fatimid Caliphate in Ifriqiya in 909. The Fatimids launched an expedition east, against the Abbasid Caliphate, under the Berber general Habasa ibn Yusuf. Habasa succeeded in subduing the cities on the Libyan coast between Ifriqiya and Egypt, and captured Alexandria. The Fatimid heir-apparent, al-Qa'im bi-Amr Allah, then arrived to take over the campaign. The attempts to conquer the capital, Fustat, were beaten back by the Abbasid troops in the province. A risky affair even at the outset, the arrival of Abbasid reinforcements from Syria and Iraq under Mu'nis al-Muzaffar doomed the invasion to failure, and al-Qa'im and the remnants of his army abandoned Alexandria and returned to Ifriqiya in May 915. The failure did not prevent the Fatimids from launching another unsuccessful attempt to capture Egypt four years later. In the event, it was not until 969 that the Fatimids conquered Egypt and made it the centre of their empire. The second Fatimid invasion of Egypt occurred in 919–921, following the failure of the first attempt in 914–915. The expedition was again commanded by the Fatimid Caliphate's heir-apparent, al-Qa'im bi-Amr Allah. 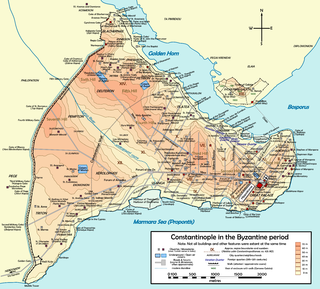 As during the previous attempt, the Fatimids captured Alexandria with ease. However, while the Abbasid garrison in Fustat was weaker and mutinous due to lack of pay, al-Qa'im did not exploit it for an immediate attack on the city, such as the one that had failed in 914. Instead, in March 920 the Fatimid navy was destroyed by the Abbasid fleet under Thamal al-Dulafi, and Abbasid reinforcements under Mu'nis al-Muzaffar arrived at Fustat. Nevertheless, in the summer of 920 al-Qa'im was able to capture the Fayyum Oasis, and in the spring of 921 extend his control over much of Upper Egypt as well, while Mu'nis avoided an open confrontation and remained at Fustat. During that time, both sides were engaged in a diplomatic and propaganda battle, with the Fatimids' in particular trying to sway the Muslim populace on their side, without success. The Fatimid expedition was condemned to failure when Thamal's fleet took Alexandria in May/June 921; when the Abbasid forces moved on Fayyum, al-Qa'im was forced to abandon it and flee west over the desert. ↑ John V.A. Fine, Jr. (1991). The Early Medieval Balkans: A Critical Survey from the Sixth to the Late Twelfth Century, p. 148. ISBN 978-0-472-08149-3. ↑ John V.A. Fine, Jr. (1991). The Early Medieval Balkans: A Critical Survey from the Sixth to the Late Twelfth Century, pp. 148–149. ISBN 978-0-472-08149-3. ↑ Ch Paquis, Louis Dochez Histoire d'Espagne Béthune et Plon, 1844. ↑ John Haywood (1995). Historical Atlas of the Vikings, p. 74. ISBN 978-0-140-51328-8. ↑ Rucquoi, Adeline (1993). Histoire médiévale de la Péninsule ibérique. Paris: Seuil. p. 85. ISBN 2-02-012935-3. ↑ Timeline of the Early British Kingdoms 599 AD–937 AD - Britannia.com. ↑ Anglo-Saxon Chronicle, ed. M. Swanton (Dent, London 1997), s.a. 911–918. 1 2 3 4 5 Heinz Halm The empire of the Mahdi, Partie 1, Volume 26 BRILL, 1996. ISBN 978-90-04-10056-5. ↑ Joel L. Kraemer Philosophy in the renaissance of Islam: Abū Sulaymān Al-Sijistānī and his circle Brill Archive, 1986. ISBN 978-90-04-07258-9. ↑ Rayfield, Donald (2000). The Literature of Georgia: A History , pp. 48-49. Routledge. ISBN 0-7007-1163-5. ↑ Ancient India Par R.C. Majumdar Motilal Banarsidass Publ., 1994. ISBN 978-81-208-0436-4.